Sometimes your thoughts can drive you crazy, blocking clear thinking and impeding response flexibility. Sometimes your thoughts trigger further thoughts, evaluations, judgments, and condemnations that reduce your resilience. These thought patterns are ways of filtering reality that can be counterproductive. 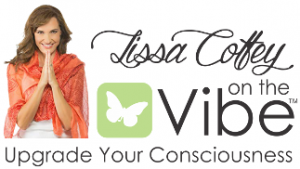 You can learn to work mindfully with your thoughts, and with all the amazing, creative, dazzling constructs of your default network mode, especially when those constructs turn dark or constricting, so that you can also experience their coming and going. Even your deeply held beliefs about the truth of the way things are can shift. And you can come to understand the processes of your brain that create, install, and defend those constructs to the death. Here’s a list of common thought processes that human beings use to filter their experience. Assumptions: We learn from past experience, and based on that experience we sometimes think we know more than we know. We filter our perceptions of reality through those assumptions rather than seeing clearly what is actually true or needed now. Projections: We assume that what we have learned is true for ourselves is true for other people as well. We project our assumptions onto them, usually without their knowledge or permission, abandoning theory of mind. Objectification: We lose the sense of ourselves or another person as an active agent of changing experience. Instead we see ourselves (and others) as an object, a thing, an “It” at the mercy of external events and other people’s choices, powerless to change our experience (or our responses to it). Discounting the positive: We fail to register positive traits in ourselves or in others, belittling ourselves, devaluing others, and deflecting or neglecting appreciation in either direction. Catastrophizing: We may immediately assume the worst: if we sneeze, we assume we’re catching a cold, which means missing work for three weeks, which means losing the job, which means losing our home — from sniffle to disaster in less than three seconds. Black-and-white thinking: We see everything in categorical terms, with no shades of gray, few options, and no possibilities of compromise. This rigidity in thinking, which can lead to a serious derailing of response flexibility, is also known as neural cement. Inability to disconfirm: We are so rigid in our opinions that no new information can change them. You may recognize similar patterns in your thinking. Review the list above. Identify any of these patterns you recognize as operational in you or in people you know, without attaching any shame or blame. For now, simply acknowledge any patterns you identify that you might want to rewire later. Pick one pattern relevant to you that you’re willing to investigate; it need not be the one that is most difficult for you. Track this pattern in your thinking for a week. Notice when this pattern is operating in your thinking; notice when it’s not. Becoming aware of your common patterns of perceiving and responding, and acknowledging them in your conscious awareness, is essential if you want to rewire them. Steadying your awareness with more and more difficult objects of awareness is reflective resilience. Mental constructs can be very stable and long-lasting, more like the climate you live in than the weather that changes from day to day. Emotions that might flit through your awareness in a matter of minutes or half a day (weather) can settle into a longer-lasting mood (climate). The moods we deem negative — depression, discouragement, despair — are the ones we’re more likely to notice and want to shift than the lighter-hearted moods of joy or contentment. As human beings, we adopt roles, preferences, priorities, and goals that filter our perceptions and shape our responses over long periods of time. We prioritize family over work, or work over family, based on deeply held values and convictions. We construct entire philosophies of living, belief systems, and identities that filter our perceptions and response to reality. Formulating values to live by is part of resilience: they are part of a moral compass that guides our life choices. But locking ourselves into values that cannot be changed in response to new experiences is not resilient. At this stage of new conditioning, you’re simply training your awareness to realize that any thought is a product of the processes of your brain, and thus any thought can change. Entire patterns of thought, no matter how complex, can change. Roles, preference, priorities, and even entire belief systems can change over time — and they do. 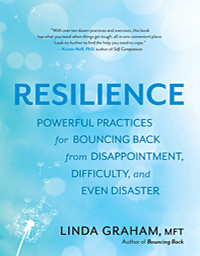 Linda Graham, MFT, is the author of Resilience and also Bouncing Back, the winner of a 2013 Books for a Better Life Award. 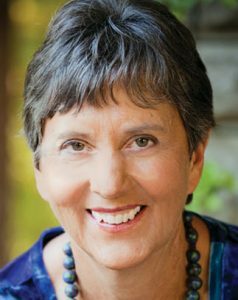 She is an experienced psychotherapist who integrates modern neuroscience, mindfulness practices, and relational psychology in her international trainings on resilience and well-being. Visit her online at www.lindagraham-mft.net.